Your GP is referring you to another GP, to help you with a particular health issue. You may wonder why this is happening. Some GPs have particular knowledge and experience in special health procedures, such as removing skin lesions, or particular conditions, such as severe acne or some women's health conditions. Often that expertise isn't offered within the public hospital system. Your GP is referring you to one of these GPs so you can benefit from their expertise. The alternative would be for you to pay for an appointment with a private specialist. injections for treating osteoporosis (zoledronate infusions). What will the GP treat me for? The new GP will only see you for the issue your GP has referred you for. For most issues, they will see you just once. 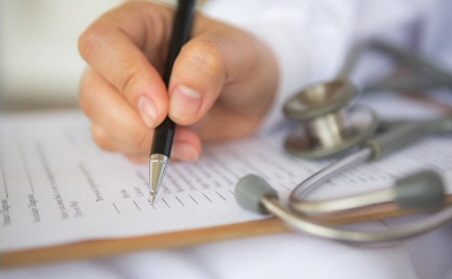 After they have treated you, this GP will send a letter to your usual GP, outlining any tests you have had. This means your usual GP can continue treating you. You will have to pay a fee for the consultation with a different GP. It may be subsidised, so the fee is small, or you may have to pay a full charge. Ask your GP what you will have to pay. What happens after I've seen the other GP? If you need follow-up (such as wound dressing) your usual GP will do this. Your usual GP will also let you know the results of any tests. Your GP may refer you to another GP who has expert knowledge about a particular condition, such as acne, or some women's health conditions. You may visit this GP several times, but only for the specific condition your doctor has referred you. You will have to pay a fee for these consultations, and your first appointment will probably be longer than usual, so may cost more. 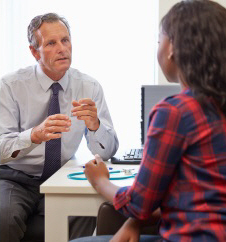 After they have treated you and you need no further consultations, this GP will send a letter to your own GP, outlining any tests you have had and any medications they have prescribed. This means your own GP can continue to treat you. If you need another specialist appointment, or further treatment, your own GP will arrange this.